Best book about gardening – ever! Oooh! 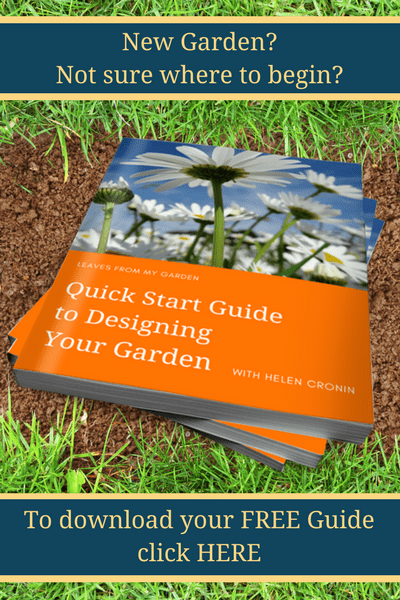 I am so excited to share with you what I consider to be the best book about gardening – ever! Do I sound excited? I love, love, love this book and I hope you will too! 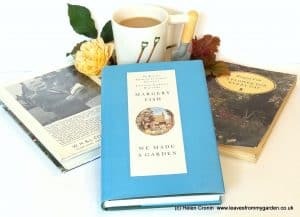 I am talking about the book “We Made a Garden” by Margery Fish. It is not a large volume and could probably be read in one or two sittings. I try and make it last longer than that, as I keep re-reading it. Although it was written in 1956 it has been through numerous editions the latest being May 2016. So what makes this book the best book about Gardening? To help you understand my affection for this book I need to give you a bit of background. Margery Fish (1892 – 1969) had worked on Fleet Street. It was where she met her husband Walter (1874 – 1947) when he was Editor of the Mail (1922 – 1930). After a visit to Germany in 1937, Walter felt sure England was on the brink of war and they decided to move out of London to the country. After a long search they finally settled on a property in Somerset, East Lambrook Manor with its range of outbuildings and two acres of land. Walter had some experience of gardening and strong horticultural opinions. Margery had no experience of gardening but firm ideas about how she wanted the garden to look. Together they turned the derelict ex-chicken farm into a Garden. But their very different opinions as to how the Garden should look caused numerous clashes which Margery retells with candour. There is no spite in this book which was written long after Walter’s death, and she is quite frank about the changes she made after his passing. 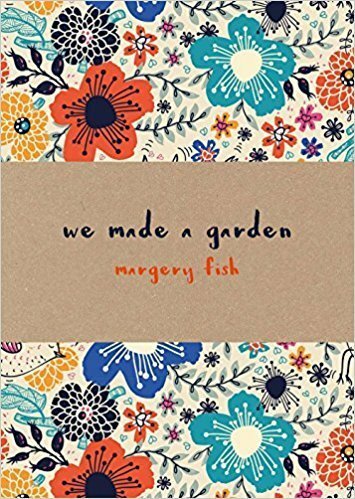 I love reading how people make a garden and so this book has to be my first choice. Margery tells the story frankly and without puffery. 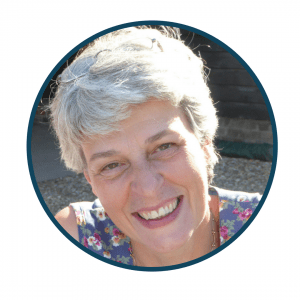 She is clear on how she and her husband made the garden, and their clashes and successes. He liked formality in the garden and she informality. Plants she nurtured and fussed over when they were not performing well, he summarily executed. This book is easy reading, in that Margery’s style is informal, almost chatty, and yet sounds a bit ‘Joyce Grenfell’, jolly hockey-sticks and all that. I love the way she talks about tucking the plants into bed and making sure they are comfy. In one chapter she describes her husband as something of a Tartar when it came to making the circular drive. It can’t have been an easy marriage but they obviously stuck by one another. Margery readily admits when she had got something wrong in the garden, and when Walter was right. She tells how she would smuggle her new purchases in, and how she made places for her precious plants. I can’t imagine Walter didn’t notice the end results, perhaps he chose to turn a blind eye. I could quote numerous parts of the book and go on and on but I think that would spoil it for you. No, you just have to get hold of a copy for yourself. Read, enjoy and learn. Yes, it is an amusing book but there are nuggets of gardening wisdom sprinkled throughout this slim volume, which I think is the best book about gardening – ever!